PierceMartin Collection. 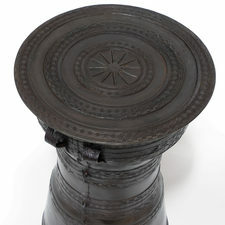 Pressed brass hand-forged drum in a bronze finish. 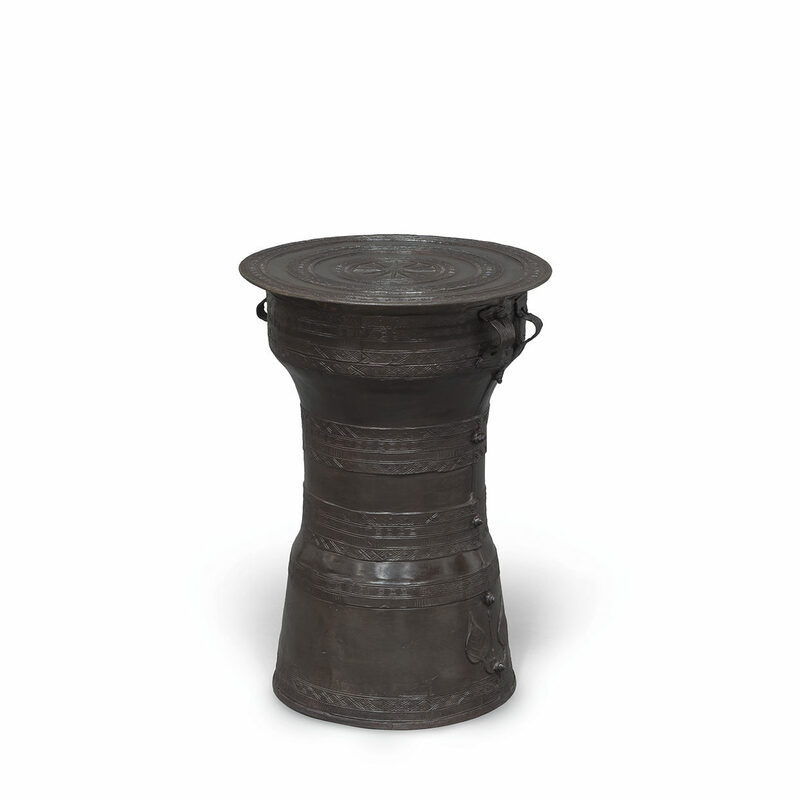 Suitable for outdoor use however, will patina when exposed to the elements.